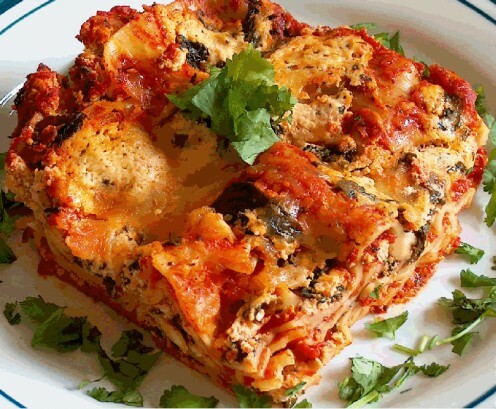 While I was searching through the HubPages list of suggestions for hubs, I seen this one for Lasagna and could not pass it up. So I decided to add my recipe to the mix. Every year, I make a special dinner for the people in my life for their birthday. AND every year this is something my brother always request I make for him. 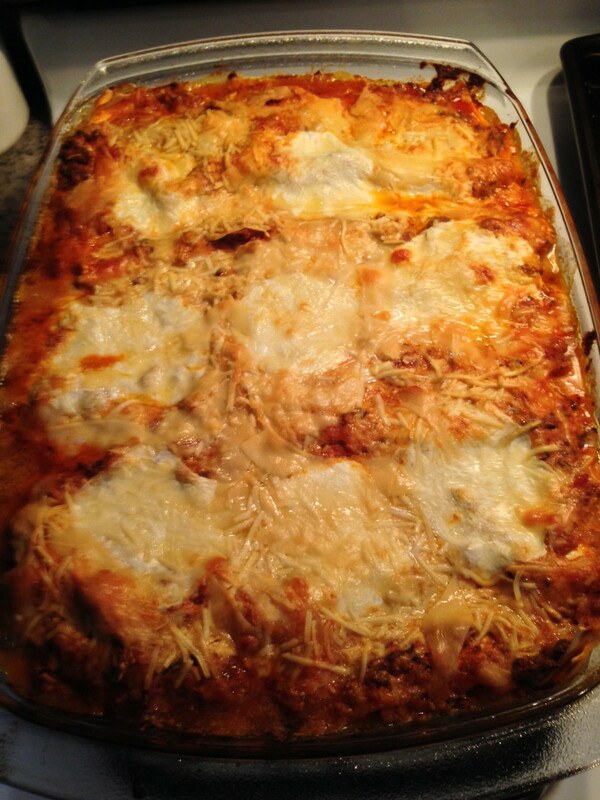 By making this dish for my brother, I also found out that my husband is a huge fan of lasagna! I personally do not consider Lasagna to be one of my favorite dishes. I will eat a small amount when I make it for my brother or my husband, but if they did not request it I probably would not eat it. I will not be adding salt to my recipe because of all the hidden sodium that is already in the foods, but if you want to add salt you can. There was a time I would add a little sea salt but not anymore since I became a "label reader". Place on stove and simmer on low. (optional:) you can add a couple of Italian sausages taken out of the casting if you would like and cook with the lean ground beef. Just remember if you do that, you will be creating more grease and most likely will have to drain the meat before adding it to the sauce. Season the meat with oregano, parsley and garlic. After it is cooked add to the sauce and continue to simmer for about 20 minutes. (Optional) I personally like adding baby spinach to the lasagna but everyone usually complains about it. 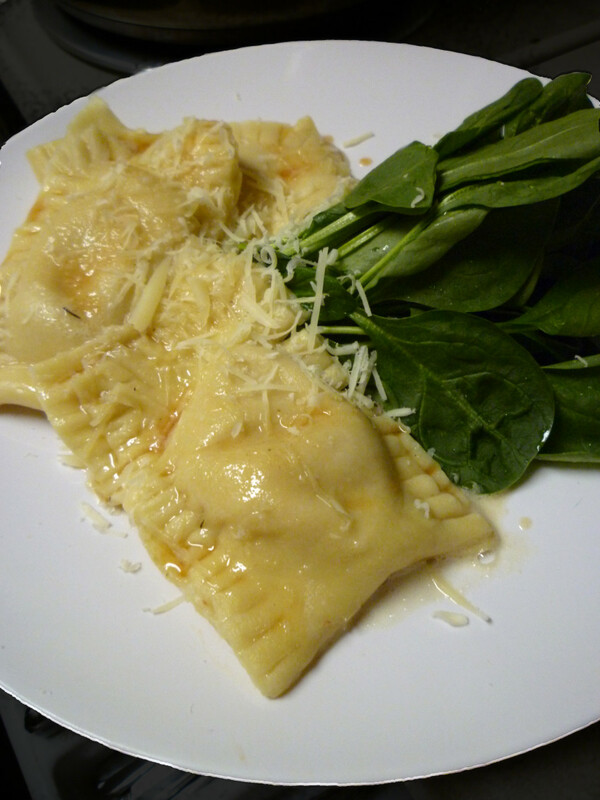 It is really good though, just chop up some fresh baby spinach and mix it in with the cheese mixture. Spray a 9 x 13 oblong pan with Olive Oil and put two ladles of sauce in the bottom of the pan and add a layer of uncooked lasagna noodles. Spread another scoop or two of sauce over pasta, add some of the cottage cheese mixture, sprinkle with Mozzarella and Parmesan Romano cheeses and add another layer of noodles. Continue to do this making layers until your pan is filled. When you get to the top layer-lay some noodles and sauce only. Cover with foil and place the pan on a large cookie sheet. Cook at 375 degrees for 55 minutes or until noodles are tender. When the noodles are tender and cooked the way you like them, remove the foil and cover the top with more Mozzarella and Parmesan Romano cheeses and cook another 10 minutes. Take out of oven and let it set for at least 10 minutes before you cut it. Garnish the top with fresh basil leaves if you have them, if not sprinkle some dried basil over the top. Note: When you are making Italian food, usually there is always going to be different cheeses and tomatoes involved-Basil enhances the favor for both cheese and tomatoes. What would Lasagna be without Garlic Bread? Bake at 350 degrees until it is the way you like it. Use a hand mixer and blend together the water, sugar, salt, oil, honey, yeast and one cup of flour. Slowly add the remaining flour and mix together. If the dough is too sticky add a little more flour. Lightly dust your surface with flour and knead the dough for 10 minutes. Lightly spray a bowl with a nonstick cooking spray and put the dough in the bowl. Cover with plastic and a towel and let it rise for one hour. After an hour, knead 10 more minutes and divide the dough into two pieces. Shape into a log and spray a cookie sheet or french bread pan with cooking spray. Place dough into sprayed pan, cover with plastic and a towel and let it rise for another hour. Bake at 350 degrees for 15-20 minutes. Lightly spray the top of the bread with olive oil and sprinkle with garlic powder, rosemary and parsley. Lightly place a piece of foil over the bread and bake for another five minutes. Please Note: you want to cook the bread until it is light golden brown, leaving the herbs off until the last few minutes of cook time so the herbs do not burn. Take out of the oven and cover with a dampened cloth. This helps the bread crust to stay soft. DO NOT CUT THE BREAD UNTIL IT HAS COOLED because if you cut it before, you will have a dough ball! Slice to the thickness you want, butter and serve. How much do you like Lasagna? 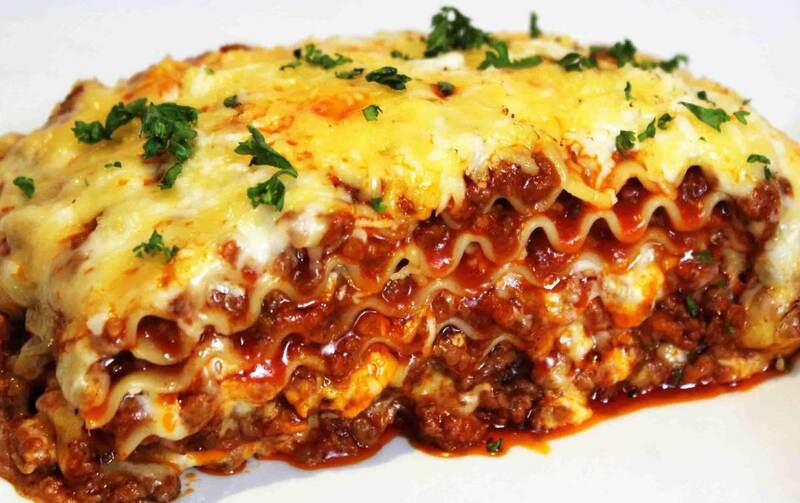 If you had to rate how much you liked Lasagna what would you rate it? This article includes Italian recipes that are delicious and easy. The Italian Manicotti recipe and the Lasagna recipe are simple to make and they are great to serve to your family or for company. 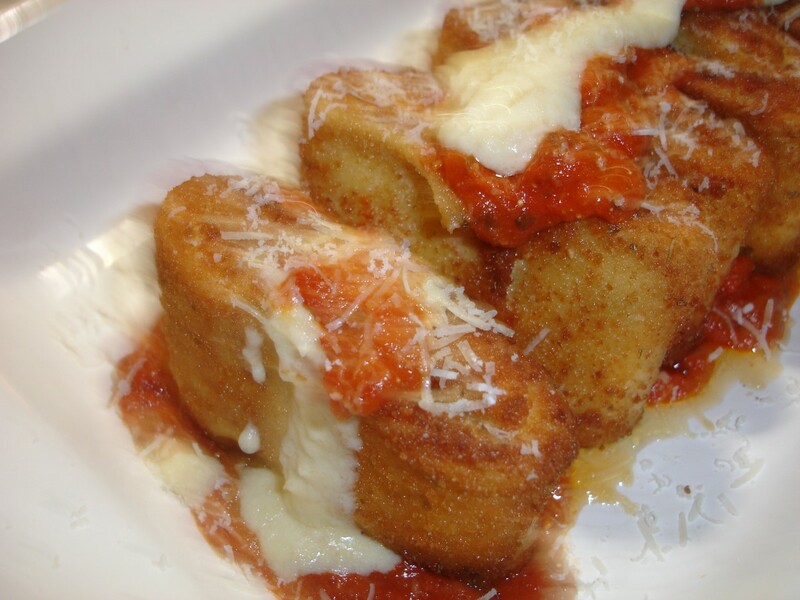 Impressive, yet extremely easy authentic Italian dish: sofficini. Read about some excellent, delicious Italian appetizers recipes. Detailed instructions are given for these easy to make healthy appetizers. If you love cauliflower and love roasted vegetables, you are going to love this healthy nutritional recipe that you bake in the oven. You can still have sweets if eaten in moderation, all you have to do is a little tweaking to the recipe, be decipline and only have a little. Depriving yourself can cause harm and break your goal. If you are looking for great gift ideas, recipes that are cooked from the heart says it all. 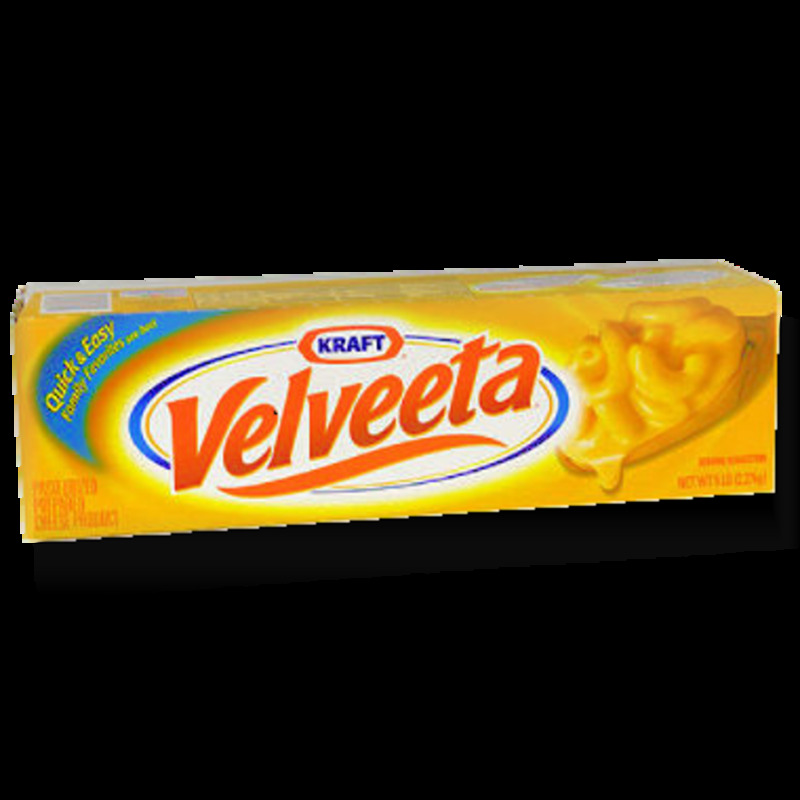 This is a great recipe that can be enjoyed all year long. All you need to do is diced your apples, add the spices and turn on your crock pot. Okay, so I admit I do not like a lot of pasta dishes, however that does not stop me from loving to cook dishes for others. This is use to be the one thing my brother would always ask me to make him for his birthday dinner every year .. now he is married so sis does not need to make it for him anymore. Do you cook foods that you do not like but cook it anyway because your family likes it? Yes!! All of the time! No!! If they want it, let them cook it!! I'm not crazy for it either, but my hubby likes it so when I make it for him, I will have some. I always say, alter the recipe to your liking! Let me know if you try it. That is awesome Wendy, let me know you like it. Lasagna is one of my favorite meals. But I don't make it enough. This looks so good. I think I'll make it this week. I will try this recipe, although I make lasagna at home without meat. We don't have it too often, but I love it. I usually just add more layers of cheese and layers of spinach in mine. I like your sauce though, sounds great. Oh, thank you pinkdaisy :0) If you try it please come back and let me know how you liked it.